Jurgen Klopp has had a tough ride in the recent weeks, having seen his side draw two home matches despite dominating them both. Liverpool drew 1-1 against Burnley in the Premier League on Sunday, following a 2-2 draw against Sevilla in their Champions League clash midweek. The boss will see them as missed opportunities, especially after their hammering against Manchester City last weekend. The Reds boss seemed frustrated as a solid Burnley got a crucial away point at Anfield, leaving the Reds needing plenty to do in the upcoming fixtures. 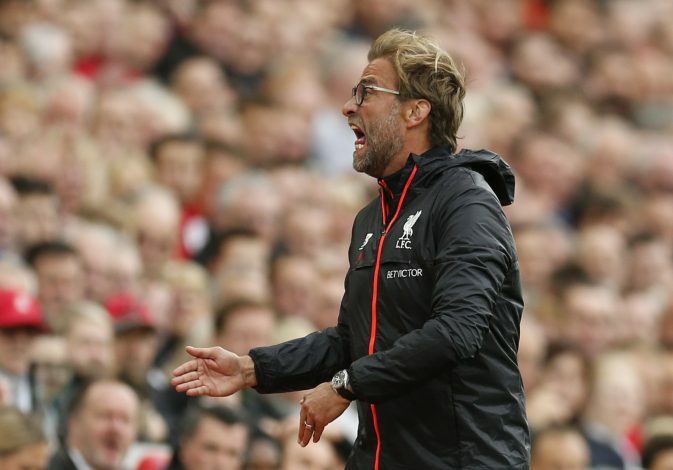 A lot of Klopp’s frustration came out against his side’s own fans in the 1-1 draw, and as per ESPN’s Glenn Price, the German boss was going mad with the lack of patience within the crowd. This happened during the second half, as the supporters grew disheartened with their side’s inability to find a breakthrough against a well worked Burnley defence. Liverpool tried hard and kept attacking, but it wasn’t meant to be. Klopp, an emotional manager, is often lively on the touchlines, and also very active and vocal with players and fans alike. The crowd, after having seen their side lacking the killing instinct against Sevilla too, had genuine reasons to be unhappy and more demanding. But Klopp definitely wanted them to cheer on, and hence, showed them his frustrated side. The former Borussia Dortmund boss needs his team to start winning games, and with Philippe Coutinho back, it will give him some much needed relief. Liverpool face Leicester City away twice in the upcoming days, in the League Cup and the Premier League. He will hope to regain some form against the Foxes, as that can rejuvenate the side by finding the finesse upfront and racking up goals.